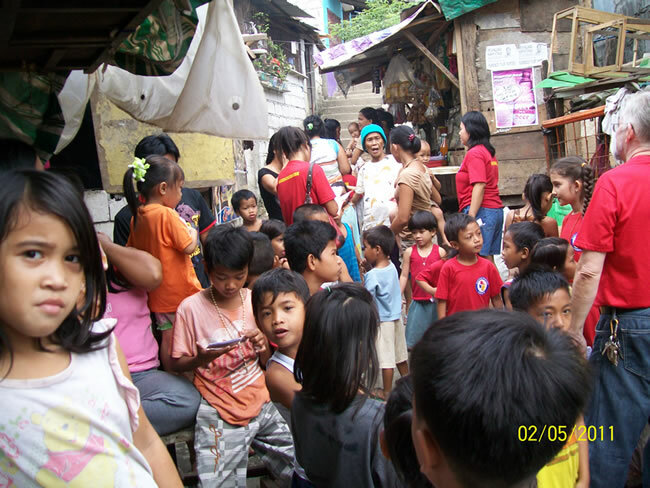 In the United States we are Payatas Mission Outreach, Inc. a 501 (3) c non-profit organization. 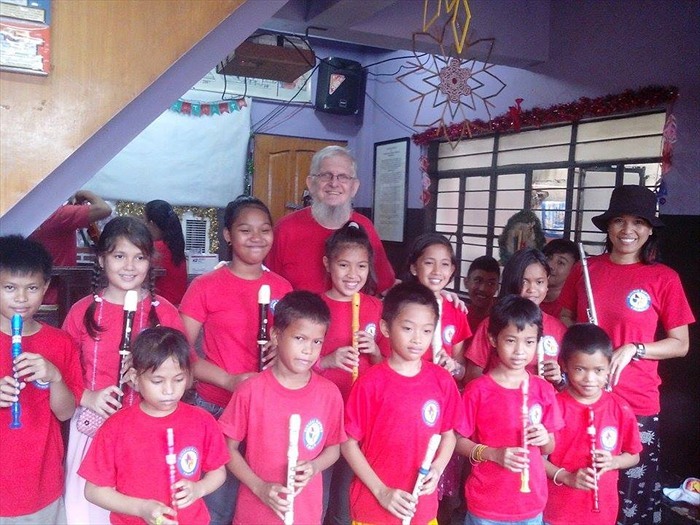 We started the mission to be able to collect funds and to send missionaries into the Payatas area. This organization strictly focuses on one of the poorest places in the Philippines, Payatas and none other. Pastor Jack Wilson along with his wife (Malou) and daughters (Laura and Linda) arrived in Payatas in July of 2006 and began Bible studies in two separate areas of Payatas. Within three months the Church had moved into the present building and began the process of incorporation. We are now overflowing our Church and are in dire need for more space. Only with sufficient space is an organization able to grow. During our short time here we have brought the gospel to thousands of residents. We do that the same way as Jesus did. We have fed them, given out clothes, given out toys and school supplies, have had medical missions ministering to thousands, we have had Jesus films and Christian theater and we opened up God’s Grace Medical Assistance, Inc. along with other Churches, which provided free medical exams by our doctors to those who cannot afford such basic services. Because of the clinic, thousands have heard the Gospel and so many people have prevented worsening of their condition, spreading their condition and even death as many will not have funds to visit a pay facility. We then started a new clinic closer to the school and successfully ministered to thousands. We turned it over to another Baptist organization which had better ability to bring it to the next stage. Recently we started various educational programs. Our volunteers are teaching the children in their homes to supplememnt the education they are receiving on the local level. We are also teaching them computer science, English, as well as music. when these children reach an 80% level, the government will give them a free college scholarship. Those who learn English will be qualified to work in a call center making a fair wage instead of picking through garbage. Music helps the students to learn discipline. It helps them to focus on their other studies as well as giving them an accomplishment in the arts. Who knows if we will produce another Bach or Brahms? We help by providing hope combined with action so that these residents will be able to work and thrive in their environment. -Payatas Mission Outreach Inc. for your tax deductible donations. -Payatas Q. C. Church & Ministries, Inc.-The Local Church on site. -SavePayatas.Org-The website to keep you informed about Payatas. Pastor Jack Wilson of Payatas Quezon City Baptist Church and Ministries, Inc. They have come to love us as we also love them. Oh if only we could do more for them. What We Hear People Say All the Time? We hear people say all the time, “That’s a shame or how sad.” They are looking at it with their minds. Won’t you take a look at these children with your heart? What if it were your kids and you could not provide for them. Wouldn’t you want help?